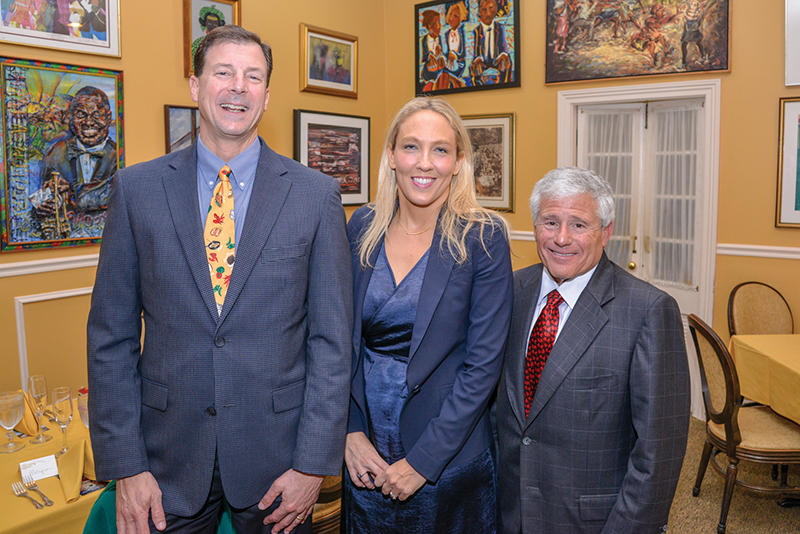 Kingsley House hosted a private dinner with Leah Chase to support children and families. Kingsley House hosted a private dinner with world-renowned chef Leah Chase. More than 150 friends and supporters gathered at Dooky Chase Restaurant for delicious food and heartwarming stories from the Creole Queen. All proceeds from the evening supported Kingsley House children and families. At the event, a VIP entrance included a private audience with chef Leah Chase, autographed cookbooks and French 75s prepared by mixologist Berni Ralston of Select Brands Inc. The main dinner, prepared by chef Chase, included her famous Creole gumbo, shrimp remoulade, fish topped with crabmeat, vegetable jambalaya and assorted dessert plates for each table. Chef Chase delivered remarks. Chef Chase and Kingsley House share a bond in their history: In a time when society was separated by the color of one’s skin, Chase’s restaurant was a vital gathering place for all people to come together to push for civil rights. Kingsley House faced a similar situation at that time, as the only traditionally white organization in New Orleans that had integrated all of its programs. Both Chase and Kingsley House pushed for civil rights and equality. The program directly benefits Kingsley House’s capacity building programs, which include Early Learning Services, Adult Day Care and Community and Supportive service.